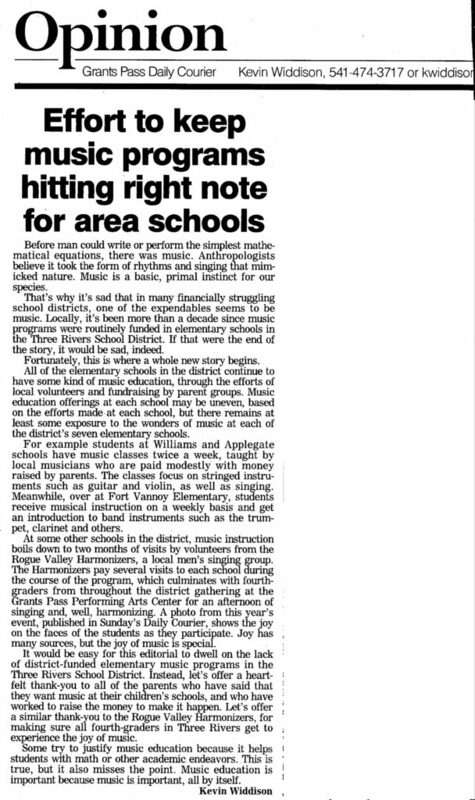 Effort to Keep Music Programs hitting right notes for area schools. Article that appeared in the Daily Courier. © 2014 Rogue Valley Harmonizers.